Markez Z1409 is a medium temperature compound with extensive chemical compatibility suitable for the food industry and pharmaceutical applications. Suitable for Steam-In-Place (SIP) Cleaning. Suitable for Ozonated Deionized Water. This information is to the best of our knowledge accurate and reliable. 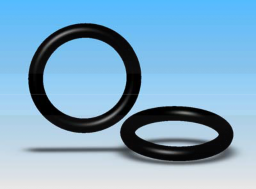 However, Marco Rubber makes no warranty, expressed or implied, that parts manufactured from this material will perform satisfactorily in the customer's application. It's the customer's responsibility to evaluate parts prior to use. Markez® is a Registered Trade name of Marco Rubber.